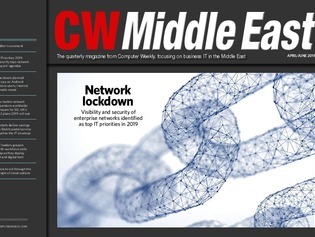 In the EMEA region, it seems that 5G is not the main thing in the minds of CIOs and networking leaders despite all the excitement, with security concerns overshadowing everything else. This is a result of the continuous attacks from cyber criminals on their networks. To this end, keeping a close eye on the activity on a company’s network is a top priority. The IT Priorities survey revealed that in the EMEA region, 38% of respondents are planning to monitor network performance and 36% to monitor traffic and flow data. Also, security worries won’t go away, with the survey revealing that 39% of respondents are expecting to increase spending on mobility projects, which bring with them security challenges. Read more about it in this issue. And who wouldn’t be worried about network security with news that Facebook planned to use its Android app to track the location of its customers. Read in this issue how Facebook wanted to allow advertisers to send political advertising and invites to dating sites to “single” people. Documents, marked “confidential”, which Computer Weekly has seen, reveal a secret programme at the social media giant to collect and exploit data from customers with Android phones.